One of my favorite things about spring is seeing all the new nail polish collections. Nail polish is an inexpensive pick-me-up. 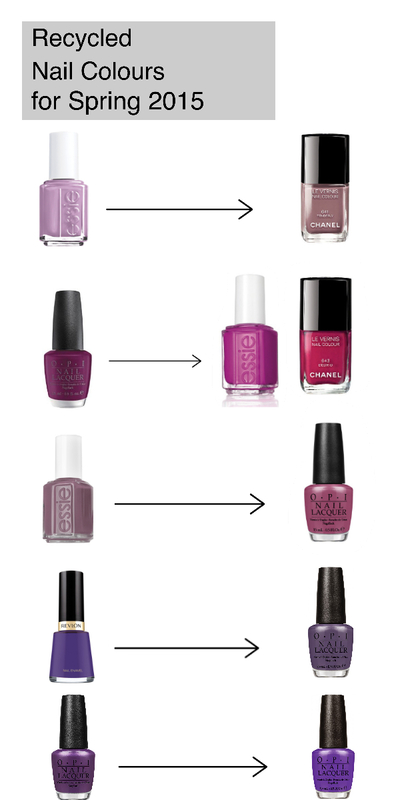 I’ve been checking out Spring 2015 colors from my go-to brands and they all have two things in common…plums and purples. Essie’s “Flowerista” is a fun, bright plum. 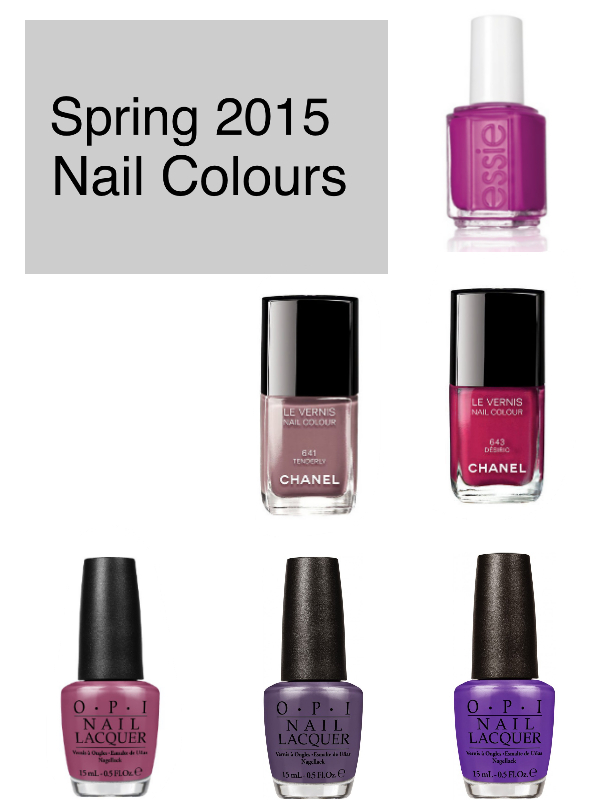 Chanel’s “Desiro” is very similar to “Flowerista” and their “Tenderly” is a soft, muddy lavender…a perfect neutral. OPI’s Hawaii Collection has a few choices. “Just Lanai’ing Around” is a creamy mauve, “Hello Hawaii Ya?” is a dark, dusky purple and “Lost My Bikini in Molokini” is a bright purple. 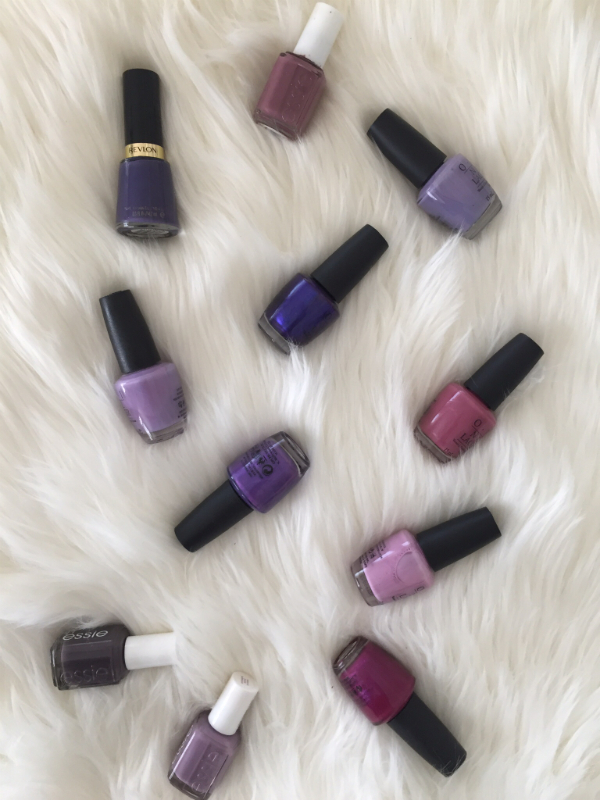 I tend to run out and pick up the newest colors, but decided to take it easy this year and go through my nail polish collection..yes, I may have a slight problem…and see if I had any similar colors. I have just a few purples and plums…eeks!! The truth is that things tend to come back around and I think nail colors come back around much faster than fashion trends. You might already have a color very similar to one of this season’s hottest shades from a year or two ago. I hope this inspires you to dig deep in those bathroom drawers…what is old may be new again! And no worries if the nail polish is a bit thick. A couple of drops of nail lacquer thinner and you are in business. The sheen or tone of the polish you already have might be slightly different than the newest colors, but who’s going to really notice. Your mani will still be on point!